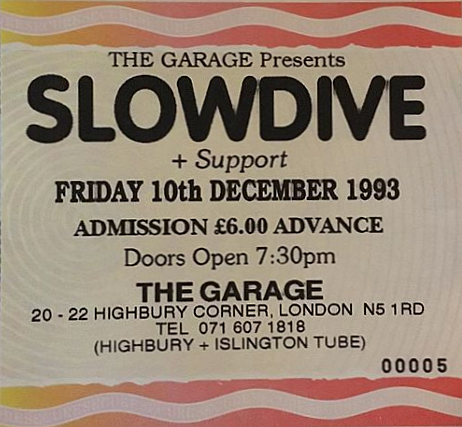 Last concert of Simon Scott with Slowdive until his return in 2014. 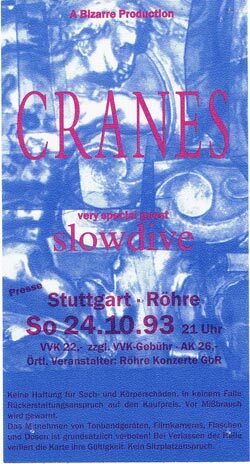 Thanks to Dave for confirming the setlist, to Mark Van Hoen for confirming that Locus played at this event and to @mrplade on Instagram for the ticket scan. 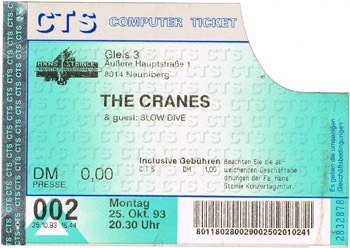 Thanks to Marco Bouwman for the ticket scan. There is a DAT audience recording in circulation. This recording was sold by the band at their 1994 North American tour as a "legit" bootleg. More info. 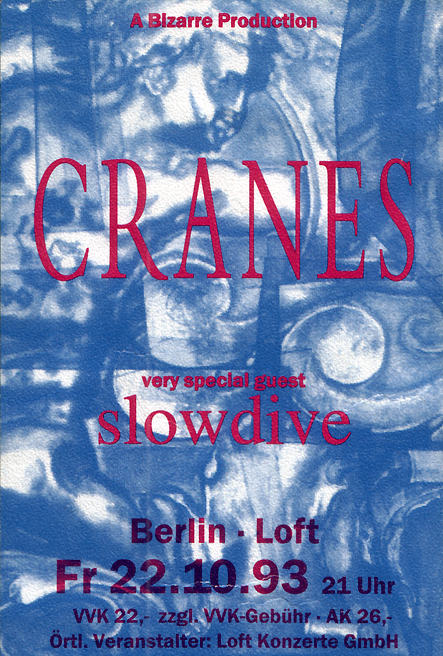 Slowdive supported Cranes in this show. 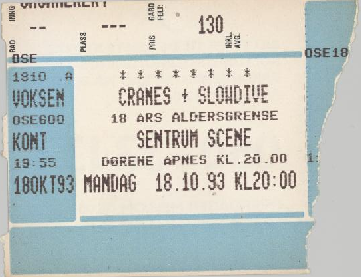 Thanks to Tron Harald for the ticket scan. Thanks to Dave for confirming the venue. Thanks to Jean-Paul for confirming the support act.